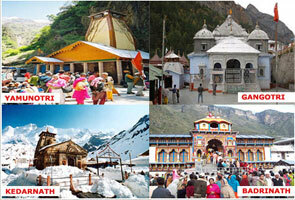 It is one of the beginning point of the trek that leads to two important places-Yamunotri and Dodi Tal. Yamunotri is only 13km away from Hanuman Chatti which can be easily covered by foot or on poonies. One can also find jeeps to Janki Chatti that is only 6kms away from Hanuman Chatti. 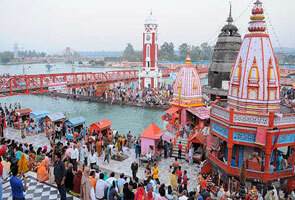 Hanuman Chatti is the meeting point of Yamuna and Ganga River. One can also find food items and raincoats from Hanuman Chatti. Situated at an elevation of 1,220mts above sea level in the district of Uttarkashi, Barkot is one of the most important destinations to choose for excursion in the state of Uttarakhand. The place provides comfortable accommodation facilities and ensures easy stay after hectic travelling schedules. Besides the recreational value that this place has to offer, Barkot also has an ancient temple that is situated 49kms distance from Yamunotri. As per Indian Mythology, Dodi Tal is tHe birthplace for Lord Ganesh and has a beautiful Ganesha Temple crafted along the banks of this lake. Dodi Tal is a fresh water lake that is situated at an elevation of 3,307mts above sea level and is besieged with dense forest of rhododendrons, oak and deodar. This lake is also called mysterious lake as its depth cannot be measured till day. Dodi is home to endangered Himalayan Golden Trouts and many other rare species of fishes. Dodi Tal offers wonderful splendid sites and is a famous trekking spot. 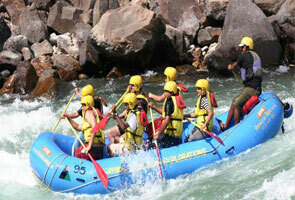 Positioned at a raised level of 1,352 above sea level, Uttarkashi is a famous tourist spot. It is 78kms away from Hanuman Chatti and offers a picturesque view to travelers. 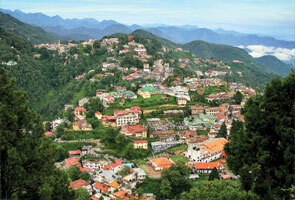 The place is well connected by motorable roads and is a famous destination of the Uttarakhand state. Along the banks of River Bhagirathi, Uttarkashi offers wonderful glimpse to serene environ and gushing water. Moreover, trekking interest in people here and around the world has led to construction of reputed institute of Mountaineering-Nehru Institute of Mountaineering that offer training courses in trekking, climbing and mountaineering.